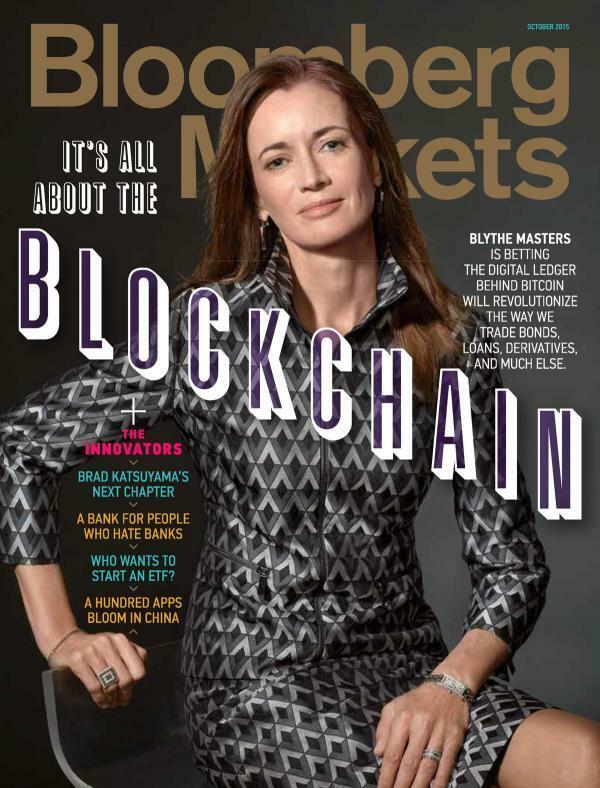 And just like that, a little over three years later, the fairy tale is over, at least for the person who was meant to "tell the banks Blockchain changes everything", because as Bloomberg reports, Blythe Masters is leaving her role as CEO of blockchain startup Digital Asset Holdings, slightly more than three years after arriving to run the financial technology firm and being on the cover of Bloomberg magazine to provoke curiosity in what at the time was a technology - and asset class- only a handful had previously heard of. According to a release, Masters asked to step down for personal reasons, which naturally means that the true reasons she is leaving are anything but personal and may have something to do with the unprecedented collapse in cryptocurrency from their all time highs exactly one year ago. AG Gangadhar, who joined the board this year, will become chairman and acting CEO until the New York- based company finds a permanent replacement for Masters who will remain a board member, strategic adviser and shareholder. Digital Asset was... all right, all right still is among a group of startups trying to apply blockchain to financial markets. Advocates say the system, already being used to simplify supply chains, could also streamline trade settlement and stock issuance. Alas, despite early enthusiasm for the technology’s promise, many corporate advocates of distributed ledger technology cooled off in direct correlation with the price of bitcoin. After joining Digital Asset in 2015, Masters - who previously worked at JPMorgan for two decades and conceived of credit-default swaps which nearly led to AIG's extinction - became a high-profile advocate of blockchain for finance and a mainstay on the speaking circuit. During her brief tenure there, Digital Asset struck up several partnerships and earned a contract to supply Australia’s main stock exchange, ASX Ltd., with blockchain technology for processing equity transactions. ASX Deputy CEO Peter Hiom said in a statement Tuesday that the program remains on pace. In October Hong Kong Exchanges & Clearing Ltd. said it will work with Digital Asset on building a blockchain settlement system for trading Chinese stocks. fostering a work environment that was inhospitable to women when he worked at Uber. And speaking of women, keep a close eye on where Blythe ends up next: while it remains to be seen if bitcoin (and blockchain) can ever inspire the type of bubble mania that emerged in the 2016-2017 period (yes, eventually, once money laundering using crypto becomes fashionable again, especially in Asia), one thing is certain: whatever product or asset Blythe is involved with next, will likely be the next thousand-bagger investment.